Summer school (July 23 - July 27), aimed at students in their final years, PhD students and young researchers. 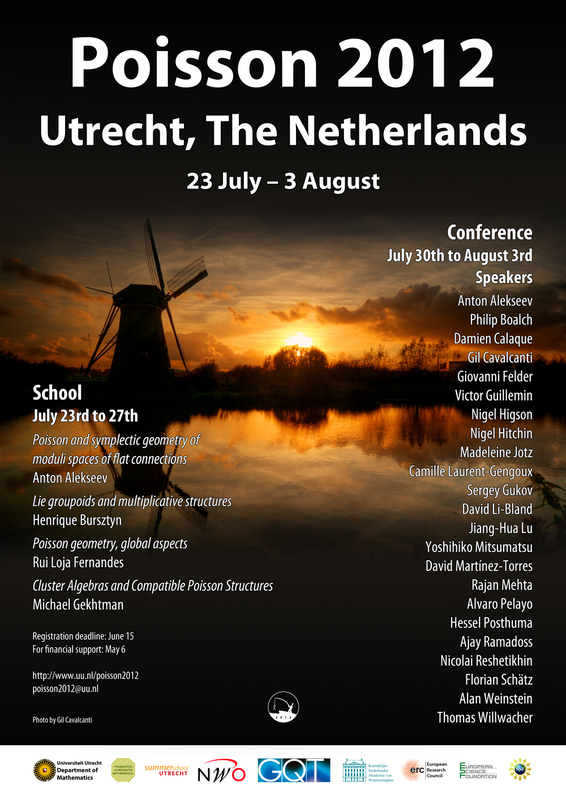 Conference (July 30 - August 3), to be attended by students and researches from around the world, including some of the leading mathematicians in the field of Poisson Geometry (see speakers list). 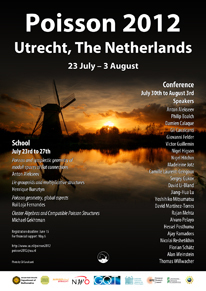 The event is organized by the Utrecht Poisson Geometry group. 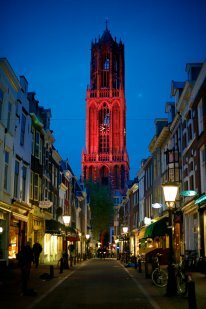 The event will take place in the Uithof campus of Utrecht University, an easy 10 minute bus ride or 15 minute bike ride from Utrecht city center. See practical issues for information on travel, accomodation and restaurants. See also social events.